Windows Genuine Advantage(WGA) Notifications is a software created by Microsoft as part of its effort to reduce Windows software piracy. WGA Notifications once installed helps you to confirm that the copy of Windows installed on you machine is genuine and properly licensed. 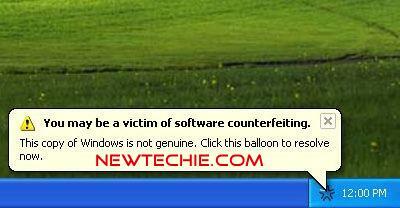 If your copy of Windows is not genuine then Windows Genuine Advantage Notifications software provides you with periodic notifications and remainders to help you take appropriate action and protect yourself from security risks posed by counterfeit software.